After teasing its 2018/19 season in November and postponing its originally planned announcement by an extra couple of days, the Los Angeles Philharmonic finally dropped the other shoe last week and released full details of its Centennial Season. It is, to use a word that is ubiquitous yet completely accurate and appropriate this time: awesome. Totally awesome. Defiantly awesome. Rewardingly awesome. The season is a marvel to behold, cementing and extending the LA Phil’s leadership position among orchestras in the U.S. and even the world. More than fifty world premieres (?!!!) Is there any other orchestra that has the combination of chutzpah, resources, and musical acumen to pull that off? No. No, there isn’t. Festivals to celebrate Stravinsky, the Harlem Renaissance, the Fluxus movement, and, of course, Los Angeles. Collaborations featuring film, ballet, opera, popular music, new music specialists, and others. Surveys of Brahms symphonies and concertos, Tchaikovsky works juxtaposed with American composers (conducted by Michael Tilson Thomas), a two-day celebration of the Chinese New Year, and pairings of late Haydn symphonies with all of the Beethoven Piano Concertos. An “A+” season, without a doubt. That said, there were few truly jaw-dropping revelations made last week, especially when it comes to guest conductors and soloists. Much of the sizzle — like all of those world premieres, festivals, and new initiatives — was already made public in November. So what more is there to say that hasn’t already been said by others? Quite a bit, actually. I’ve been taking some time to process the immensity of the season, analyzed the offerings beyond what the press release had to say, and came up with three big takeaways plus some other interesting tidbits worth mentioning. In typical years, most of the programs are repeated over the course of three or four concerts. Not so for the 100th season. There are an astounding number of one-night or two-night concerts — particularly within regular subscription series — thereby creating a heightened sense of occasion for each evening and increasing the chance of turning any individual performance into a “must-see” event. The biggest implications of squeezing a greater variety of music into the same amount of time: more opportunities to present world premieres, explore rarely played repertoire, and still fit in familiar works. One way to quickly see this is by examining the ratio of programs-to-concerts. First, realize that a traditional week of orchestral programming often has a four-concert week of the same program, which would be program-to-concert ratio of 25% (1 program / 4 concerts). That means that on average over the course of the season, Mr. Dudamel leads a completely different program every-other time he conducts . . . let that sink in for a second . . . and Mr. Salonen and Ms. Mälkki aren’t far behind. For a smaller orchestra, this isn’t a big deal. For musicians doing four, sometimes five, performances every week over nine months, that’s incredible. When it comes to digesting tons of new and/or complicated music while maintaining incredibly high performance standards, the LA Phil musicians have the best track record of any major orchestra in the world. The 2018/19 season is a testament to the extraordinary skill of those musicians. At the same time, the amount of new music combined with the density of programming is asking quite a bit of them, and I doubt that the rehearsal time available will increase for the centennial. It will be interesting to see how well the musicians hold up over the course of the season, and how polished the individual concerts will be. Again, compare that to a typical four-concert week. There are four rehearsals to make sure the conductor and players are exactly in sync, with four more actual performances to really get it right. Often, the third and fourth performance of a program are the best — particularly for world premieres — because the musicians will have had more experience playing it and have worked all the bugs out. They often won’t have that luxury next season. In the end, it’s a give and take. There’s a huge upside, but it doesn’t come for free. That the LA Phil would load up on new music for its centennial is to be expected, but the sheer volume of new (and relatively new) music is staggering: 54 LA Phil commissions; 51 world premieres, three U.S. premieres, and four West Coast premieres; 61 living composers. That would be a crazy number even for an ensemble specializing in new music; for a large organization as friendly to new music as the LA Phil, it’s barely comprehensible. You have to acknowledge that the fact that the vast majority of world premieres — 38, to be precise — appear as part of the Green Umbrella new music series or other non-subscription concerts, and not part of the orchestra’s main season offerings. A little marketing puffery to conflate those premieres with the ones in subscription concerts? Perhaps, but commissioning and programming all that new music an impressive and admirable feat no matter how you slice it. BTW: if you also appreciate or even prefer (gasp!) music by composers who are already dead, here are the men (yes, all men) whose works get squeezed in between those world premieres: Beethoven, Brahms, Britten, Bruckner, Debussy, Ellington, Gershwin, Haydn, Hindemith, Ives, Mahler, Mozart, Prokofiev, Ravel, Saint-Saëns, Sibelius, Still, Stravinsky, Strauss, Tchaikovsky, and Weil. You’d expect Music Directors, Conductor Laureates, and Principal Guest Conductors to take up the bulk of the regular subscription season. No surprises here. The combination of Mr. Dudamel, Mr. Salonen, and Ms. Mälkki will be on the podium for a total of 21 weeks of the seasons. 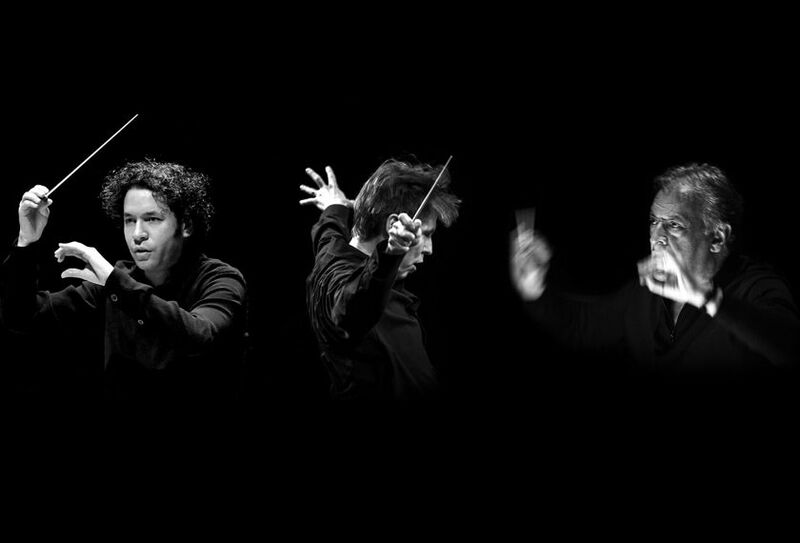 I think most orchestras would be thrilled to have any of those three conductors waving a baton in their own concert hall for as long as they could get them. For those of you keeping score, that’s 12 guest conductors over 14 total weeks: ten weeks by eight current and former staff conductors, plus one week each for two experienced visitors and two newcomers. It’s not a bad list per se and there are many capable conductors that are part of it, but that roster of guest conductors is easily the most underwhelming aspect of the full season announcement. Compare it to the opening season at Walt Disney Concert Hall in 2003 which featured internationally renowned podium figures who were NOT regular visitors to Los Angeles — Pierre Boulez, Valery Gergiev, Christoph von Dohnányi, and Antonio Pappano, to name just a few — and the difference is shocking. I expected the orchestra would use the opportunity/excuse of the centennial season to bring back at least a few more conductors whose careers are well established and internationally recognized. I think Messrs. Mehta and Tilson Thomas easily fit that bill; so that means that the LA Phil has ten (10) weeks available for other guest conductors — couldn’t they give us at least one or two more big names for this 100th season? Reasonable and admirable reasons all, and the end results are somewhat disappointing nonetheless. 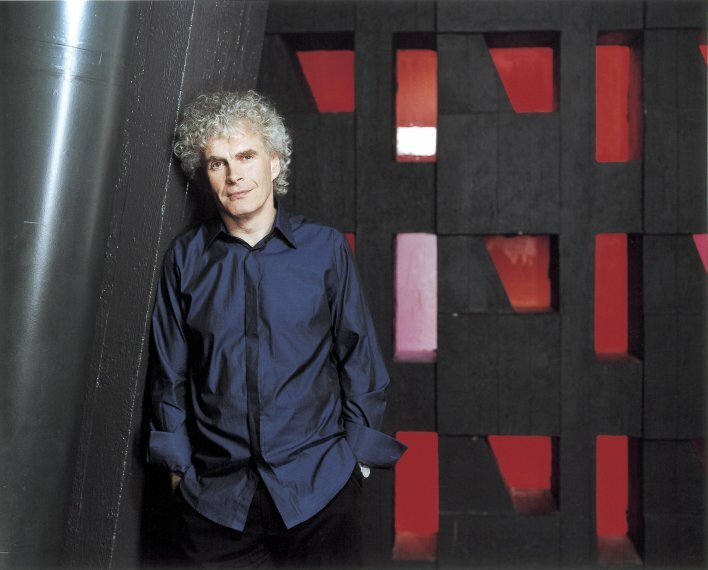 The most obvious absentee: Simon Rattle. He was Principal Guest Conductor of the orchestra longer than MTT, he’s a colossal conducting star, and his last appearance with the LA Phil was an unmitigated triumph that had the musicians so animated in foot-stomps of approval that I thought they would give a standing ovation of their own for him. I would have bet serious money his name would’ve been one of those mentioned, and clearly, I would’ve lost. The orchestra had to have asked Sir Simon to join them, right? It’d be shocking if they didn’t. I’d be interested to know if they just couldn’t come up with enough money to entice him to make the trip all the way to the Pacific Timezone, or if perhaps one party or the other simply wasn’t interested. Three other conductors noteworthy for their absence: David Robertson, Leonard Slatkin, and Bramwell Tovey. Messrs. Slatkin and Tovey were both formerly “Principal Guest Conductor at the Hollywood Bowl,” while Messrs. Slatkin and Robertson are both native Angelenos who have been regular visitors in the recent past. None of them are megawatt-level draws like Mr. Rattle, but given their obvious connections, you’d think at least one of them would’ve made the cut. Other notable conductors not part of the LA Phil’s 100th season that would’ve been nice to see (in no particular order): Bernard Haitink, Valery Gergiev, James Conlon, Mariss Jansons, Kirill Petrenko, Vladimir Jurowski, Alan Gilbert, Antonio Pappano, Gianandrea Noseda, Riccardo Chailly, Daniel Barenboim, Andris Nelsons, Yannick Nézet-Séguin, Franz Welser-Möst, Christoph von Dohnányi, Riccardo Muti, and a few more I’ve left off for one reason or another. Yes, they’re all men, and all except for the half-Asian Mr. Gilbert are white. Sure, many would be unavailable or unwilling. Doesn’t matter — I definitely would’ve preferred to have any of them over your pick of 2018/19 conductors not named Dudamel, Salonen, Mälkki, Mehta, Tilson Thomas, Adams (for his programming of living composers), or Wilkins (for his Harlem Renaissance concerts). Singers: Plácido Domingo [yeah, the odds weren’t great, but I was really hoping that he’d do his buddy Gustavo a solid and make an appearance; can you imagine his voice in WDCH? ], and whole bunch more . . . Nothing by Bartók or Shostakovich? Bummer!! I loved the San Francisco Symphony’s idea for their centennial: have the six other biggest US Orchestras (from LA, NY, Boston, Philadelphia, Cleveland, and Chicago) make guest appearances at Davies Symphony Hall instead taking the SFS on tour. Have everyone over for a party in your house for your 100th birthday rather than go visit everyone else’s place. It was a brilliant idea that I was hoping the LA Phil would borrow. Alas, they didn’t. In the end, the biggest takeaway is that this centennial season is the LA Phil celebrating its 100th birthday in its own way, with its own musical sensibility, and its own cluster of people. In the past, that would be indicative of being close-minded, provincial, and even parochial. These days, however, they’re more appropriately viewed as being iconoclasts at worst and as trailblazers at best. The alternative would be to do like too many other orchestras: hunkering down in the safe and cozy familiarity of centuries of musical tradition unhampered by progress. That’s not an option for this orchestra. As the Los Angeles Philharmonic approaches 100 years old, it can’t imagine being anywhere else other than at the tip of the spear, with all of the requisite triumph and terror that goes along with it. There’ll be plenty of both to go around in the coming season, I have no doubt. “Fortune Favors the Bold,” goes the ancient truism, one that resonates so clearly for this very 21st Century orchestra. The LA Phil’s 2018/19 season will be their boldest yet, and we in Southern California are most fortunate to be a witness to it. 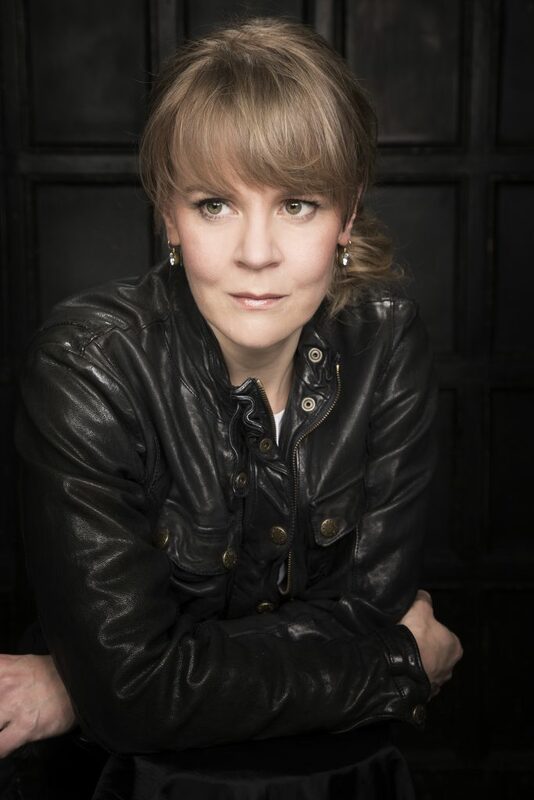 Tags: Esa-Pekka Salonen, Gustavo Dudamel, Season Announcements 2018/2019, Simon Rattle, Susanna Malkki, Zubin Mehta. Bookmark the permalink. Great overview and stats. On my wish list was making some historical broadcasts and concerts available as downloads. There are stereo recordings of some van Beinum concerts. And if anyone is asking “who’s that?” that’s another thing missing – a comprehensive history of the LA Phil. Anyway, I’ve already reupped my subscription, and added one! That’s a great idea. 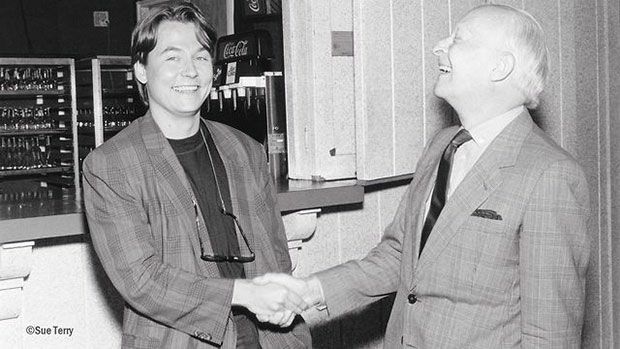 I am hoping that once the LA Phil gets the bugs out of their new website, that they launch a special one with more historical photos and recordings. I’ve met more than a few fans and local musicians who didn’t even know van Beinum was prior Music Director! Well done CK – this is an impressively comprehensive summary with many wise observations about all of it. I’d LOVE to hear true STEREO recordings of Van Beinum Phil concerts! Didn’t know they existed. Let’s do it! !